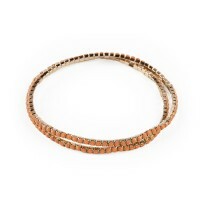 Bracelet is the more multiform bijoux and that has a great choice. 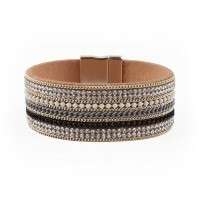 It defines the style of the wearer and reveals its personality. Its is an essential details to defuse a staid outfit, embellish a sportive one and be stylish every time. 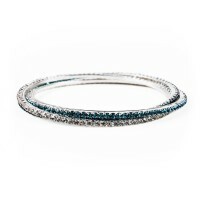 Bracelets are evergreen, timeless and for this reason ever timely. They could be in different versions, divided by sizes, style and material they are made of. 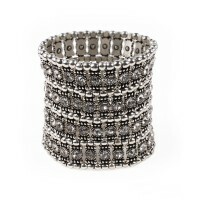 From bangles to bracelets with pendants, from bracelets with semiprecious stones to spring bracelets and chain bracelets. 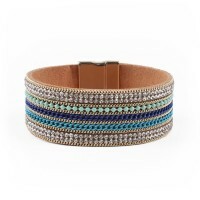 Giada & Co. Shop online presents a huge assortment that should be absolutely explored because it offers the chance to play with quantity and different materials: metal with charms, rope, rubber, leather, plastic: you'll be spoiled for choice. 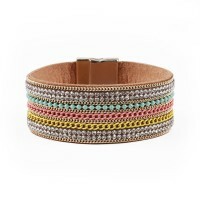 Very practical but also very fashionable, elastic bracelets are available in different versions. 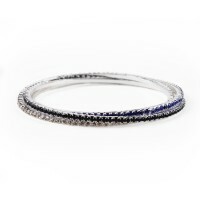 Multi wires bracelets are a must for their refinement and made of different materials as well as perfect for any occasion, from the formal to the casual-chic, is the tennis bracelet model, a real evergreen. 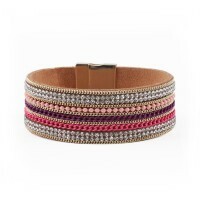 For summer, even if it has become customary of the less warm seasons, it is confirmed the preference of modular bracelets in different materials and pendant decorations.